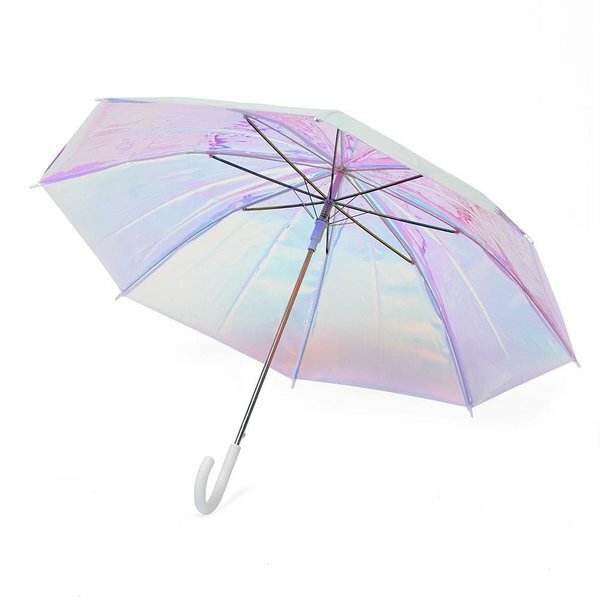 Rainy days just became something to look forward to thanks to this mesmerizing, iridescent holographic umbrella you can’t stop staring at. It's literally the first of its kind – it looks like it came from the future – and we promise you've never seen anything like it before. 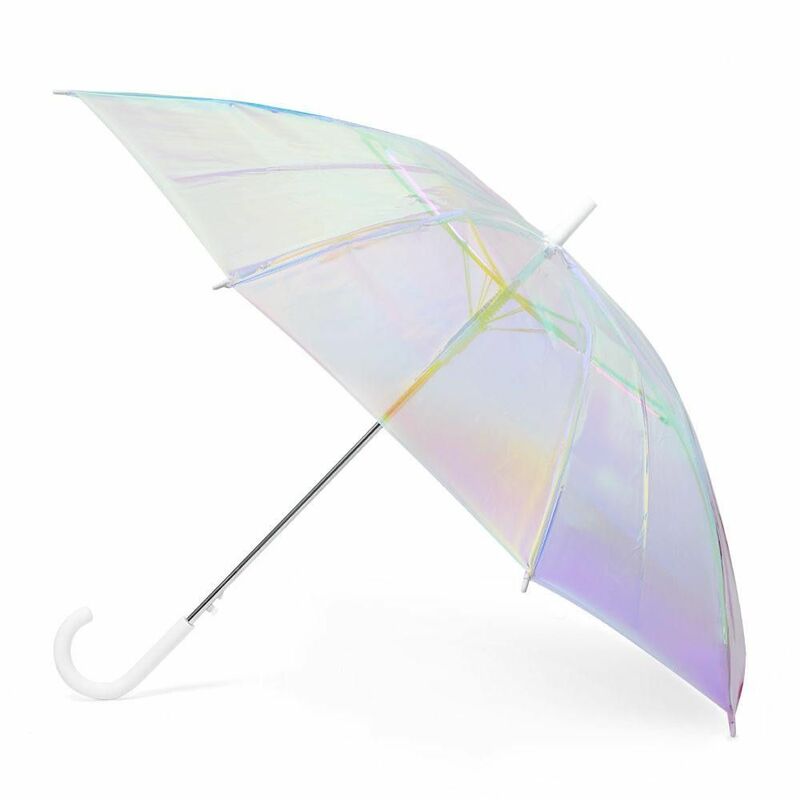 More than just pint-sized and pretty, the kids Holo Umbrella features sturdy construction is pinch-proof, poke-proof, and pretty much everything-proof. And because we know you were thinking it – yes, we make one in your size too. 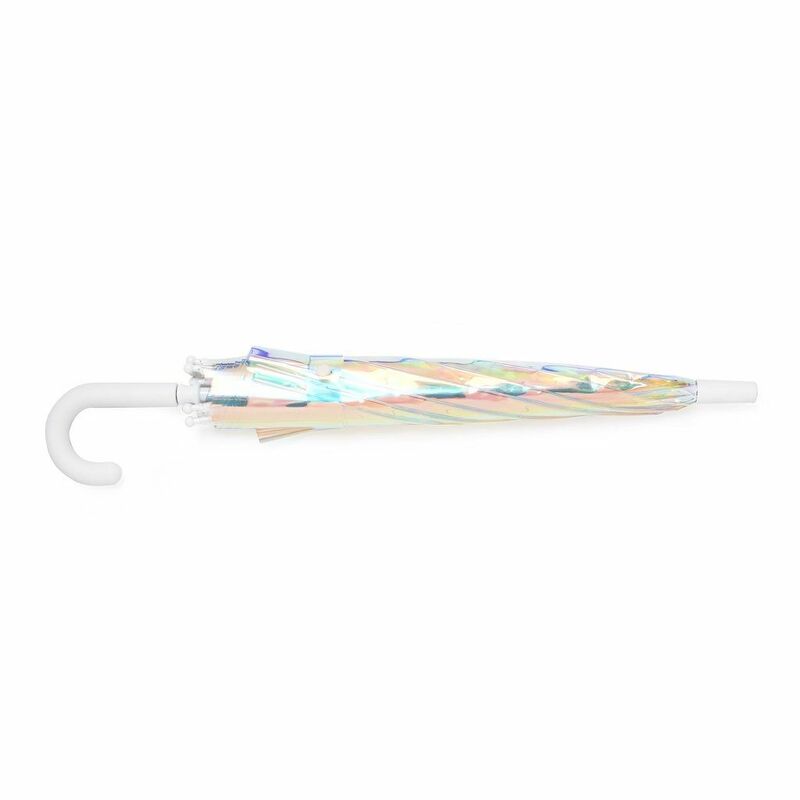 Waterproof, blended soft plastic Durable 24" metal frame and safe rounded tips Smooth touch matte rubber grip handle Buttonless, easy release. Button snap closure. Measures 32" across when open.